Summer makeup is different. It really is. It’s dewy, it's bright, it's shimmery eyes, glossy lips… but more than anything, it's deliciously fresh. Don’t get me wrong, I love Autumn and Winter makeup trends, but there’s something about the Summertime that makes me feel so inspired. I’ve shamelessly been preparing for Summer since June. I have bought, swatched, collected and practiced so many looks and have nutted all my purchases down to a modest list of 5. 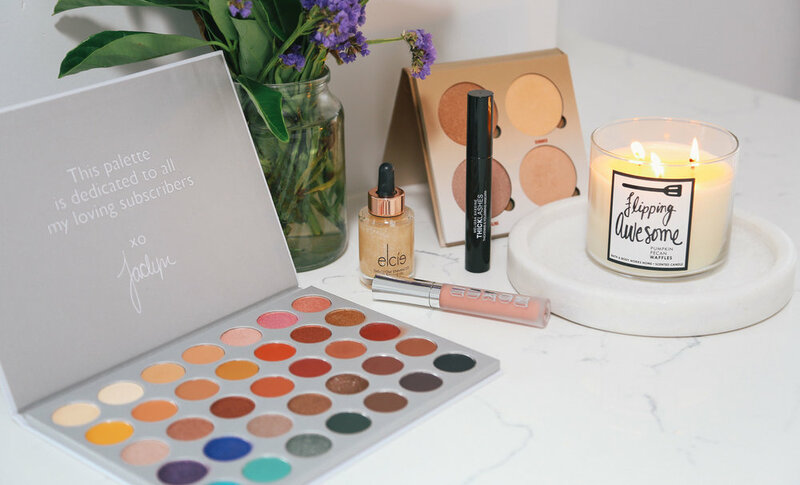 These 5 products are a must have for all my beauty lovers who die for simple and fresh glam. I have always been very skeptical about face oils because I have always had very sensitive skin, BUT Oh. My. Gosh. While I was in LA I had the privilege of having my face beaten by one of the best in the industry, Lilit Caradanian (Side note: beaten means getting my makeup done. Lilit did not take jabs at my face with a Morphe M439. I am safe and well, people!) Lilit used The Glow Enhancer as a base before applying primer or foundation and I fell in love. This product is perfect for achieving a glowing-from-within look and unlike other oils I have tried, your makeup does not slip and slide. No idea how she did it, but Lilit killed this! Is this palette worth the $43 I paid in shipping? Hell yes. There are so many treasures in this palette. Perfect transition colours, blinding shimmers and bold pops of colours. My personal favourite is Sissy, it’s a soft pink with gold flex and I have literally been wearing it every single time I have gone out since I bought the palette. Overkill? Never. No, there is absolutely no other product that is glossier. It took me a while to purchase Buxom Full-On Lip Polish but it has been life-changing. Plumping? Check. Glossy? Check. Long Lasting? Yes. I mean, what more do you want from a lip gloss? My love with ABH Glow Kits was love at first highlight. I could write for hours on why they are so perfect, but I will keep it short and sweet. It’s sheen not glitter. It applies smoothly. Its blinding. They are perfect. End of story. I’m going to let you in on a little secret, I am VERY fussy with mascara. I teach at a school that is an hour away from home, so I do not care for falsies during the week. I normally indulge in false lashes on weekends that are filled with weddings, birthdays, dinners and other endless occasions. Since trying MS THICKLASHES I can count on one hand the number of times I have used false lashes. This mascara lifts, thickens, and lengthens lashes on the first application and the brush has been perfectly crafted to coat every single lash. This means less time on glam more time for you to enjoy the beautiful sunny weather.